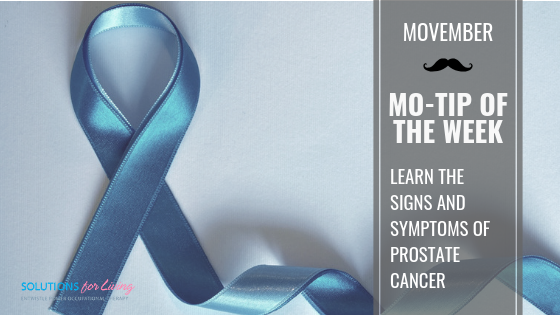 Prostate cancer is the most commonly diagnosed cancer in men and, according to Prostate Cancer Canada, 1 in 7 Canadian men will be diagnosed with prostate cancer in their lifetime. The rate of survival is highly increased the earlier the cancer is diagnosed, therefore, knowing the symptoms could save your life. Learn about the symptoms and when to see your Doctor in the following care of the Canadian Cancer Society. 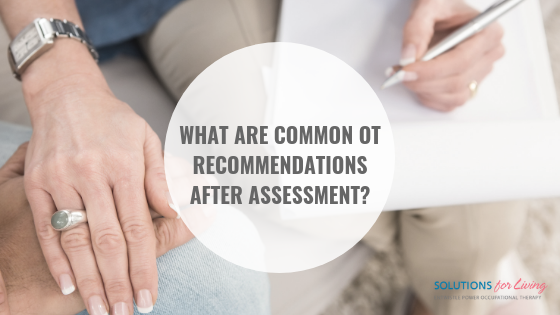 What are Common OT Recommendations After Assessment? Research completed by student Occupational Therapists Ashley Carnegie and Natalia Puchala, Supervisor Julie Entwistle. As an Evidence Based Research Project through McMaster University, Solutions for Living set out to summarize and highlight common OT recommendations after initial assessment. The goal was to publish these findings to help student OTs, or OTs looking to enter the sector, to understand the scope, depth and breadth of the recommendations we tend to make. Here are the highlights of our research findings, the completed study will be submitted for publication to OT journals when finalized. Occupational Therapists play a valued role in Ontario’s auto insurance sector. In this, Occupational Therapists are hired by lawyers for assessment and treatment, or by insurers to conduct Insurance Examinations. Assessments usually start the OT service delivery process and serve to determine and outline the impact the client’s motor vehicle collision, and resulting injuries has had on all aspects of their previous life (e.g. self-care, productivity, leisure). These assessments end with recommendations for the treatment and care that are needed to help the client recover. Occupational therapy treatment recommendations are designed to support clients in maximizing their potential to return to pre-accident function in all areas of life. Despite the 1000+ Ontario Occupational Therapists working in this role, available literature about this sector is limited and does not adequately capture the role of occupational therapy in this setting. Therefore, in this study, a retrospective chart review was conducted of 205 occupational therapy assessments conducted with clients who had a motor vehicle collision. The aim, as indicated earlier, was to summarize OT recommendations post-assessment to help others interested in learning more about this area of practice. 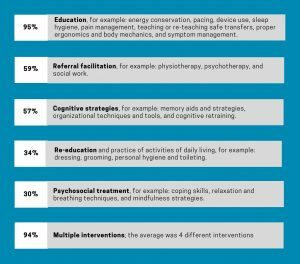 Recognizably, Solutions for Living by Entwistle Power Occupational Therapy was the only company involved in this chart review, and different companies may, and are likely to, have different findings. Further, clients seen for OT assessment are already pre-screened to be eligible candidates for service, and thus assessments with “no recommendations” are unlikely. 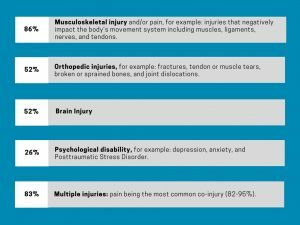 These interventions are in-line with best practices and standard treatment for the most common injuries identified in this study. Surprisingly, only 3% of OT assessments recommended use of the OTA in treatment delivery, highlighting that most OTs tend to initiate treatment directly. It is felt that therapists may introduce OTA later in treatment once rapport with the client has been established, but the use of OTA early for some education and device delivery may prove more cost-effective and is something OT’s should consider. Attendant care: 91% of clients needed attendant care. The average dollar amount recommended for attendant care was $3565, the median was $1733, and the range was between $0 and $10,544. A trend was identified between number of injuries and attendant care recommendations; The amount of attendant care recommended increased with the number of injuries. 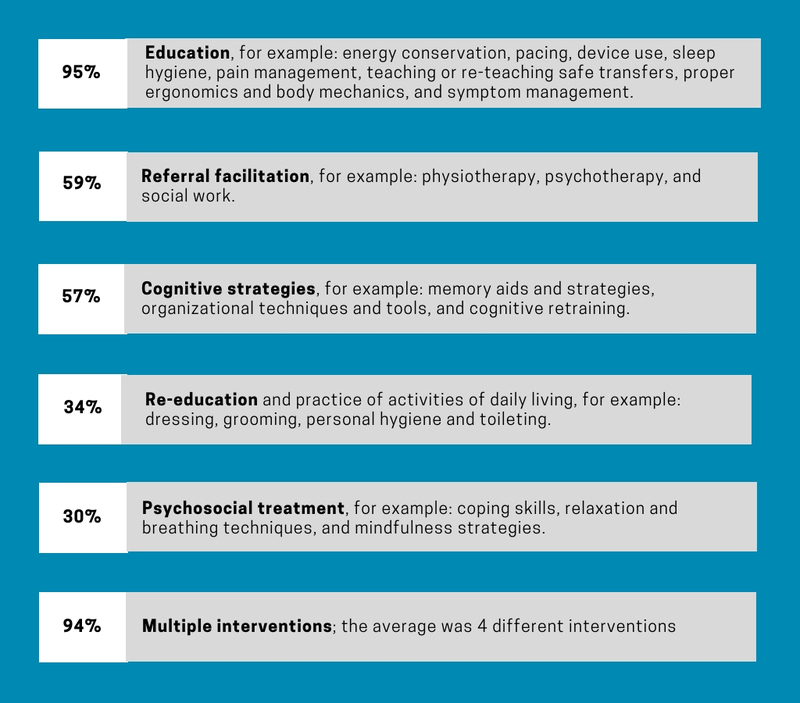 Assistive Devices: 91% of clients needed assistive devices. The average dollar amount for devices was $757.46, the median was $397.94, and the range was between $0 and $5670. 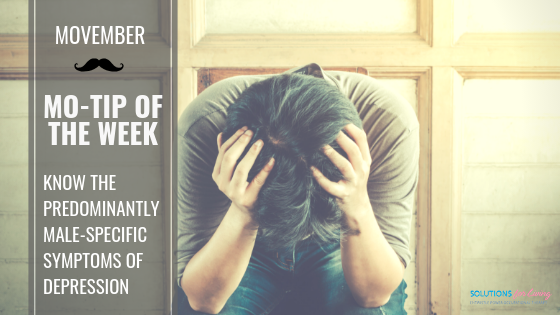 Occupational therapy treatment: The average number of occupational therapy treatment sessions recommended was 6; with an average duration of 12 weeks. Injury or number of injuries was not predictive of OT sessions or duration recommended. Notably, however, recommendations are often made to conservatively encourage insurer approval and only represent the first treatment block. Multiple blocks of treatment are common. This retrospective chart review outlined typical injuries, common intervention recommendations, and recommendations for attendant care and assistive devices following an occupational therapy assessment. Although there is some uniformity in recommendations, the lack of consistency indicates the customization taken by OT’s in assessing for client’s unique and specific needs. This individualized approach is necessary and encouraged as being best-practice and client-centered. Of further note, it was evidenced that OT’s play a very important part in system navigation and help to outline and connect the client to other necessary providers. 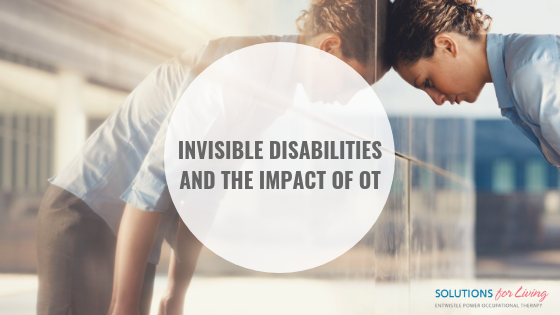 Doctors, lawyers, insurers and other professionals should recognize that OT’s are valuable front-line providers and can be the keystone to helping clients to get the help they need. As demonstrated, Occupational Therapists play a vital role in Ontario’s auto insurance sector and their assessments are pivotal in helping clients to get care, devices, education and treatment, along with connection to other professionals. This study is the first to showcase the OT role in Ontario’s insurance sector, and more research is needed to look more closely at OT service delivery. A new interview series by fellow Occupational Therapist Karen Gilbert called The Art and Science of Everyday Living is shedding light onto the value of Occupational Therapy for those with “invisible” health conditions. 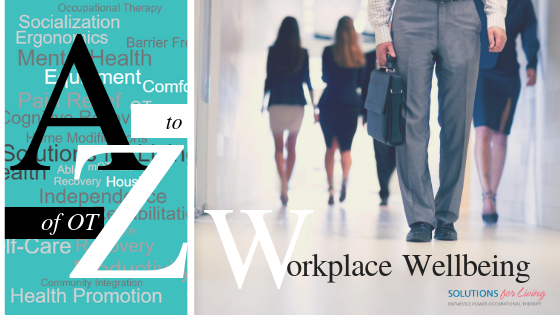 Covering topics like living with chronic pain, chronic fatigue, and anxiety, Karen interviews Occupational Therapists who share their resources and best practices. Check it out! According to a 2002 survey by Statistics Canada approximately 3.5 million Canadians struggle with sleep. If you or someone you love has trouble falling or staying asleep an Occupational Therapist can help! 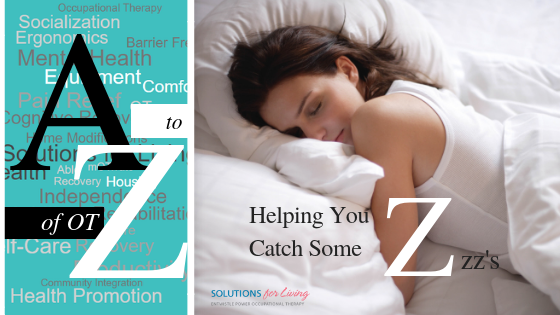 Learn more about the solutions to help you get a better night’s sleep in our post, Trouble Sleeping? We Have Solutions for You! 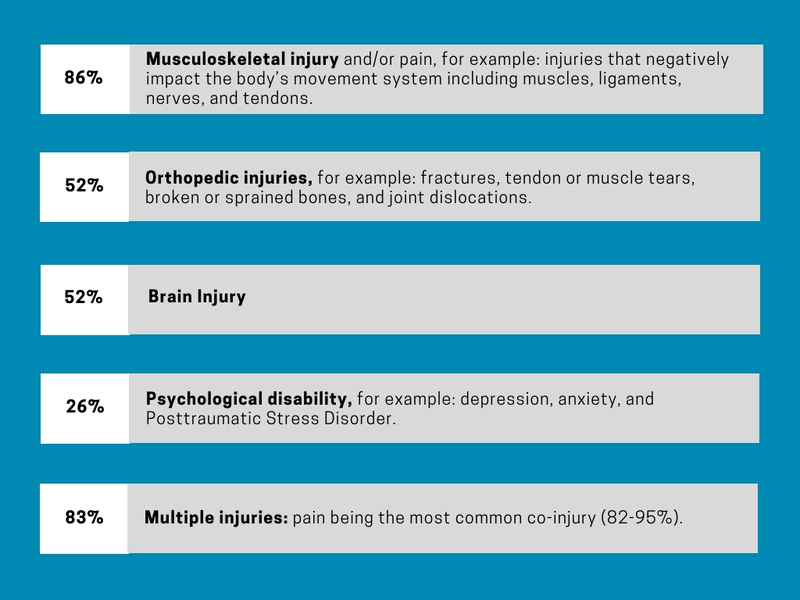 After experiencing physical trauma, there is a severe body and mind separation that impacts the abilities of the nervous system and alters the pattern of the body, breath, and mind structure. 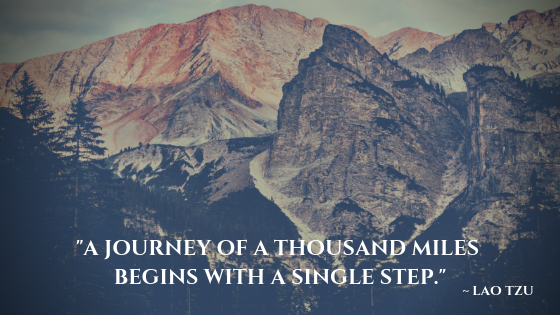 This is where the practice of yoga and mindfulness meditation can assist the recovery. 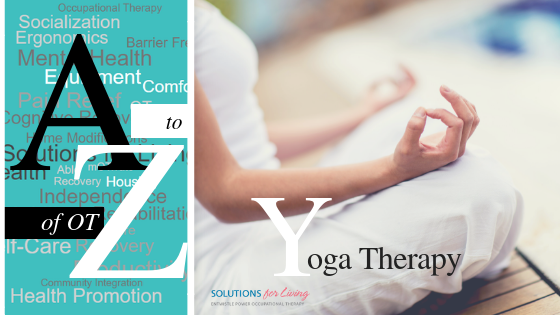 Learn more about Occupational Therapy and the use of Yoga, Mindfulness and Meditation in our post, Yoga for the Healing Brain. Ataxia is characterized by a loss of muscle control and coordination, and can affect the whole body or only specific parts. 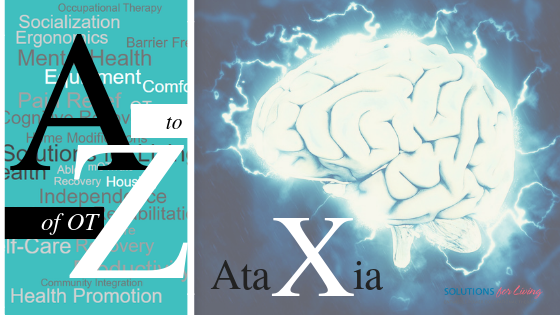 Ataxia has a pronounced impact on how people go about the activities in their day. 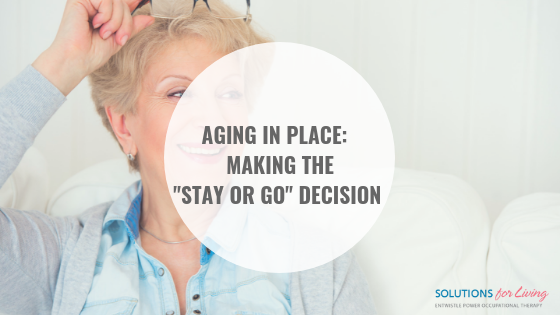 Without adequate muscle control and coordination, tasks like getting dressed, walking, and preparing a meal become more challenging. 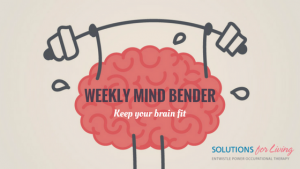 Learn more about Ataxia and how Occupational Therapists help individuals with Ataxia find functional solutions in our post, Game… Set… Cerebellum. As an occupational therapist, I have worked with people who have low vision and can say that no two people will experience this the same. First of all, vision loss and legal blindness do not mean total blindness, so the first step is always trying to understand what people can see and the ways their vision continues to work (or not) for them. This, of course, involves multiple professionals, but as occupational therapy is about “function” we need to look at how their vision works and doesn’t work, in the environments in which they live and access. 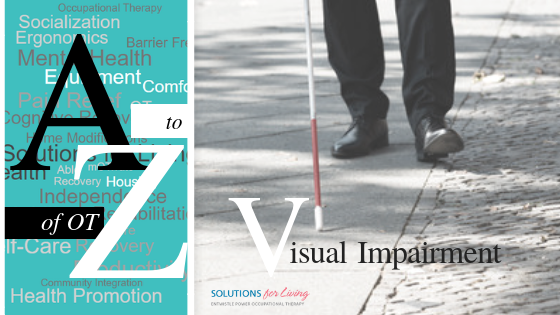 Learn about the strategies Occupational Therapists use to help those with visual impairment achieve optimal function in their daily lives in our post, OT Can Help with Visual Impairment.